Singer >>>>>> LEROY SANCHEZ @ THE WILTERN THEATER in LOS ANGELES, CA. 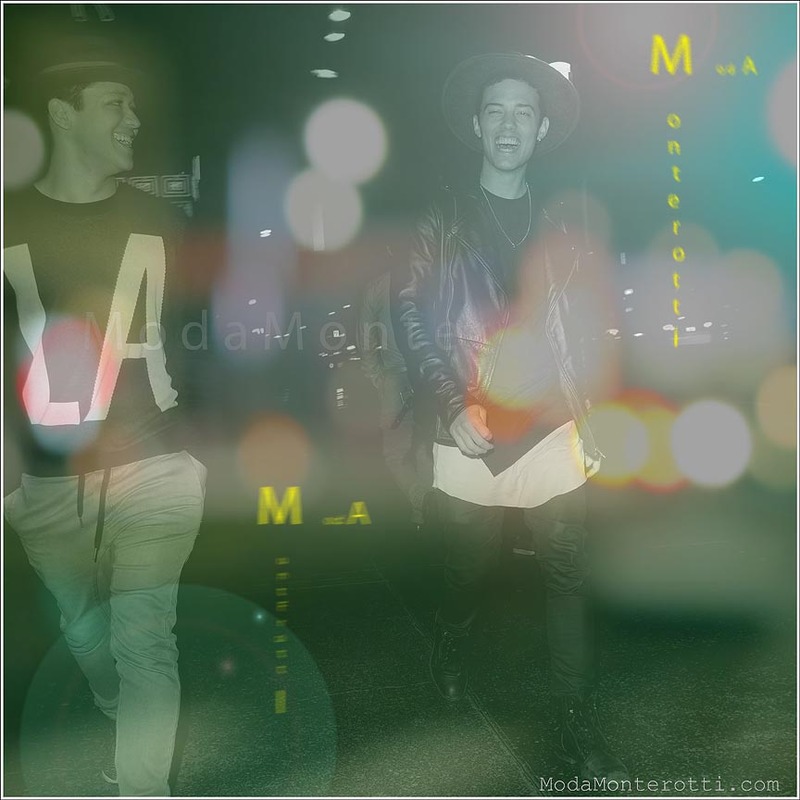 YOUTUBE SINGING SENSATION LEROY SANCHEZ WEARING A COOL, LARGE BRIMMED HAT , BLACK SKINNY JEANS, BLACK BOOKS, WHITE AND BLACK T SHIRT AND BLACK LEATHER JACKET, HIS FRIEND IS SEEN WEARING A REALLY COOL LARGE PRINT ” LA ” SWEATER AND FEDORA . YOU HAVE TO CHECK OUT LEROY ON YOUTUBE IF YOU HAVE NOT ALREADY, HIS SINGING VOICE IS AMAZING .